Obituary for James S. Burton | House of Wheat Funeral Home, Inc.
James “Jim” Burton, 87, of Trotwood, Ohio, passed away on April 2, 2019 at his home after a long illness. Jim is survived by his devoted wife of 49 years, Marva (Scott) Burton of Dayton, Ohio, two sons, Michael (Towanda) Burton of Valencia, California, Sheldon Burton of Cincinnati, Ohio, grandson, Michael “MJ” Burton of Valencia, California, brother-in-law Marvin Scott of Washington D.C., nephews Wilton Burton of Cleveland, Ohio, David Burton of Chicago, Illinois, aunts Mae Herron of Dayton, Ohio, Thelma Dailey of Atlanta Georgia, uncles Cleotis (Winifred) Turner of Oakland, California, Melvin (Hazel) Turner, Lee (Patsy) Turner, both of Shreveport, Louisiana and an abundance of other friends and relatives. Jim was born April 23, 1931 in Hamilton, Ohio to the late Walter and Mae (Spears) Burton. After graduating high school, he attended Denison University for a year before serving in the U.S. Marines Corp. at Camp Pendleton, California. After his military service, he returned to Ohio, starting a family with his first wife, Mary Burton, and continued his pursuit of his college degree at Miami University in Oxford, Ohio. After graduating from Miami in June 1962, he taught history at Taft High School in Hamilton for several years. In August, 1966, he moved his family to Cincinnati, Ohio and began with Monsanto Corporation later that same year. Jim worked for Monsanto for 20 years, where he developed and managed to the company’s equal employment opportunity programs, ascending to an executive level position in their St. Louis, Missouri, corporate headquarters. After his retirement from Monsanto in 1987, he worked for the Greater Dayton Christian Connection and became its first black Executive Director. He also worked as a grant writer for one the vice-presidents at Central State University. 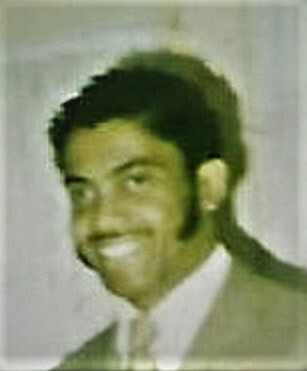 Jim, a man of God throughout his entire, had been ordained as a minster; however, he elected to express and share his faith through his God-given musical talents as a pianist, organist and choir director for Second Baptist and Pilgrim Baptist Churches in Hamilton, Ohio and Bethel Missionary Baptist Church in Dayton, Ohio. Visitation will take place from 4-7 PM Monday, April 15, 2019 at the House of Wheat Funeral Home, Inc., 2107 N. Gettysburg Ave. Homegoing service will be held at 11 AM Tuesday, April 16, 2019 at Phillips Temple C.M.E., 3620 Shiloh Springs Rd, Trotwood.